New Far East Restaurant, 236 N Front St, Medford, OR 97501. 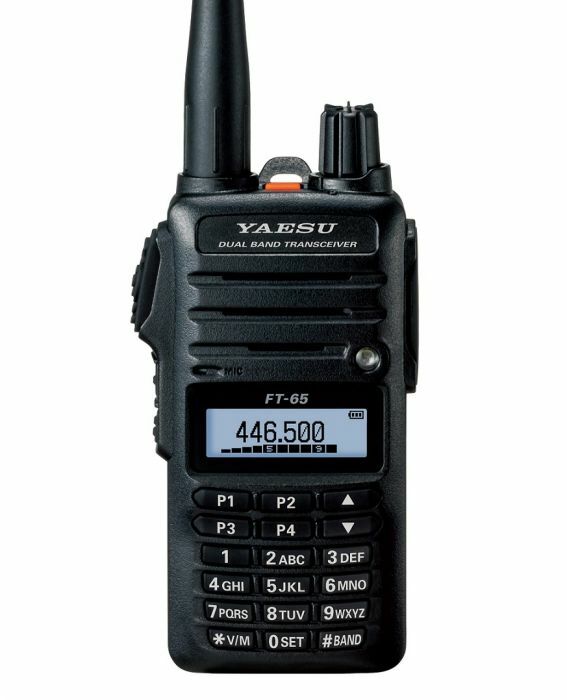 FOR OUR MAY RAFFLE, WE HAVE A YAESU FT-65R HT. As usual, tickets will be $5.00 each at the meeting, drawing to be held when enough tickets have been sold to pay for the unit. If you like what you see here on our web site, we invite you to come to one of our Monthly Meetings! Experience our Club in person! You can print a Membership Application below, bring it along and plug right in to the group by joining our Club when you visit! Study to be a Ham Radio Operator! ​The C.A.R.E. Club provides a Technician/General Class Licensing Course approximately twice a year. ​This course runs about 10-12 weeks in length. Our course is not just a test preparation class. It is a combined Technician and General Class preparation program that will get you ready for the licensing exams, and help you understand the fundamentals of radio and basic electronics. Check here for the dates of our Summer Class Session, slated for Early August, 2019. Sessions are held at 9am at Fire Station #4, located near the corner of Table Rock Rd. and Berrydale, next to Railroad Park. Class size is limited! There is no cost for these class sessions, but discounted textbooks are available through the instructors (Bring cash or check for 2 textbooks x $22.50 = $45.00). There is a $15.00 fee for the test session, which is given at the end of the course. email ham.class@yahoo.com , or call Curt KF7VZV at 541-261-2648.
consider putting a free listing here! He/[She] never knowingly operates in such a way as to lessen the pleasure of others. He/[She] offers loyalty, encouragement and support to other amateurs, local clubs, the IARU Radio Society in his/[her] country, through which Amateur Radio in his/[her] country is represented nationally and internationally. He/[She] keeps his/[her] station up to date. It is well-built and efficient. His/[Her] operating practice is above reproach. He/[She] operates slowly and patiently when requested; offers friendly advice and counsel to beginners; kind assistance, cooperation and consideration for the interests of others. These are the marks of the amateur spirit. Radio is a hobby, never interfering with duties owed to family, job, school or community. His/[Her] station and skills are always ready for service to country and community. Some of our Members have given permission for their First Names and Call Signs to be here on the public section of our website to introduce themselves to you. This is not an exhaustive list of our Membership.